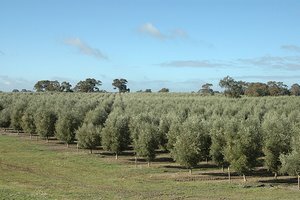 The south-east of South Australia is a key part of the Australian olive industry for a number of reasons. The extreme weather we’ve been having since 2000—with late frosts and hot weather in spring—makes me wonder about how more uncertain agriculture is becoming generally, and how we, nationally, are going to deal with that. Clearly, there needs to be significant research and development in this area to back up the innovation we’re going to have to do. In extreme heat periods, a lot of hives are lost to heat stress. Talking climate change—and the forecasts are that we’re going to get more extreme weather events, with more variability and a higher number of hot days—that’s going to become a real issue for beekeepers. Paul has a vineyard in central Victoria (Lake Marmal). When we first met him in 2010 he was director of an olive processing business in South Australia. 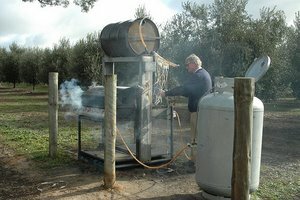 Since then he has been active globally in the olive oil world, working to improve the lot of extra virgin olive producers in Australia and elsewhere. He co-founded a global not-for-profit organisation dedicated to this task based in California – the Extra Virgin Alliance. In recent times Paul has also taken on a directorship of Native Seeds Pty Ltd, a Melbourne based company that has developed numerous native seed lines and technology well suited to all regions of Australia, particularly in times of climate change and extremes. Here he speaks along with Richard Whiting, who is growing olives near Naracoorte in the south-east of South Australia. 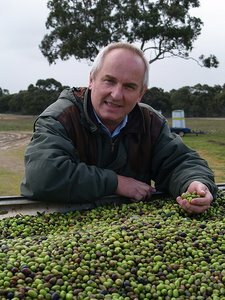 Richard is on the research and development advisory committee for the Australian Olive Association and is a longstanding member. Paul: I’m an agricultural scientist by trade. I also studied and researched horticulture with the Victorian Department of Agriculture for about 10 years. That led me into looking at how the climate in Australia differed from the climate in other parts of the world that were growing crops like the ones farmers in Victoria were trying to grow. These days I’m involved in the wine industry—I grow grapes—and in the olive industry. I’ve been President of the Australian Olive Association for about 10 years. In that role I’ve come to better understand how the olive tree adapts to the different climates across the southern half of Australia. So the issue of climate variability is close to my heart. Tatiara Olive Processing in Keith takes olives from about 11 farms each year to process them and make them into oil. Richard has one of the largest of these farms—Coralee Olives. 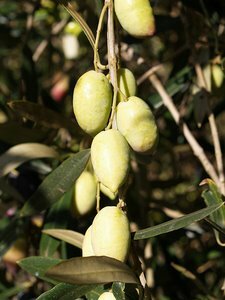 Richard: Coralee Olives is between Bordertown and Naracoorte in the south-east of South Australia, not far from Padthaway and close to the Victorian border. We selected this property about 10 years ago after an extensive search for properties with the right climate, soils, and quality and availability of water. We’ve got about 62,000 trees on 176 hectares. Our oil is sold all around the world as well as domestically. Paul: As olive orchards go in Australia, and certainly ones of this age [10 years], Richard’s is as good as it gets. It’s the weather that’s beating it. Paul: The farms and the processing plant are 4 or 5 years behind where we thought they would be when we were enthusiastically developing the industry in the south-east back in 2000. The first decade of this century has been more challenging, weather-wise, than we anticipated. We have seen record cold and some heat extremes. Certainly it’s been dry, although drought is not an issue because the water supply here is pretty good. But the weather that goes with drought—and by that, I mean frost—has been a major issue. Richard: Keeping frost at bay in October, when the flowers are setting, is critical. During the worst drought in memory in 2005–07, we had particularly severe frost seasons. Both the frequency and the severity were beyond anything recorded before. Quite often in a drought situation, when there’s less moisture in the air, you have cool nights where the heat radiates up. It’s pretty common to get 6–10 frosts during winter. We had 52 frosts in 1 year . That’s never happened before. We lost over 50 per cent of our crop. With a really severe frost you can lose the entire crop. A bigger tree protects itself a bit on the inside. But when the trees are young and open, they’re very exposed to the weather. It sets back the growth of the trees as well. They defoliate and they can take from 12 months to 2 years just to get back to where they were. It also sets back the yield of the trees. So it’s a key issue for us—the variability. Paul: The processing plant in Keith needs olives. It’s been designed in anticipation of crops from the region. Because of the reduced yields, the processing plant is way behind in terms of the tonnes that should have gone through it. The other orchards in the region are all about 5 years behind where they should be, in terms of yield. And because we haven’t had the olives, that impacts on market development and people’s jobs. Richard: Finding a solution to frost has been one of my goals. When we had these extreme events, we looked at all forms of frost control. We built up the soil structure over the last 10 years. And we’ve modified our grove floor by keeping the grass to a minimum so that the soil can absorb the maximum amount of heat during the day. You can modify the environment with water and wind. Spraying water in the grove or moving the air around can keep the temperature above freezing. But we didn’t have the infrastructure to spray large amounts of water, and we didn’t have the cash to put in a lot of frost fans or wind machines. Instead, we focused on fog. We’re trying to create a blanket to hold in the heat that the grove floor absorbs during the day. If you get a low of –10°C, then everyone’s buggered. But some people say you can save thousands of dollars if you can save half a degree—say, instead of going to –1°C, you go to –0.5°C. After investigating all methods of making a large amount of fog, we developed our own fog machines. They’re gas-powered so that we can use them out in the grove, and they generate pretty large amounts of fog. It’s not new technology. But I haven’t heard of anyone doing it on this scale before, generating more than 400 acres of fog. Paul: The good news is that this year , although other local and regional olive orchards were affected by frosts, Richard’s orchard, which has some low-lying areas that you would have guaranteed to have been affected, was not affected. So that’s very encouraging. The quality of the oil that comes out of here, by and large, is excellent. The soils in this region are particularly well-drained. Harvest normally happens during May and into June, and in some parts of Australia it can rain at that time of the year, making it hard to get in and harvest. But down here that’s not a problem because of the well-drained soils. But the extreme weather—not just frost but also the hot weather in spring—makes me wonder about how more uncertain agriculture is becoming generally, and how we, nationally, are going to deal with that. It’s not just a question of someone smart like Richard inventing a fog machine. It’s then developing it so it can work effectively. Paul: My work for and with the Australian Olive Association has taken me around the world. Our industry is working very closely with the Californian olive industry, for example, and that in turn has led me to have a network of farmers in California. They are carefully watching what happens in Australia with how we deal with climate change because they see us as being right out there at the edge, experiencing it before many other parts of the world. They’re worried about what’s happening in California too, and they’re not sure what to do. So this is not just an Australian issue, it’s a global issue. The concern extends well beyond the borders of Australia. The olive industry itself has a certain resilience to it, and I’m sure if we knew 10 years ago what had been coming at us, we might have done it a little differently. But the industry has a place in this new environment. And, naturally, among new and emerging industries you have innovative, strong-willed people who prefer to be optimistic rather than pessimistic. So they’re looking forward to taking on the challenge. The olive grove at Coralee Olives. 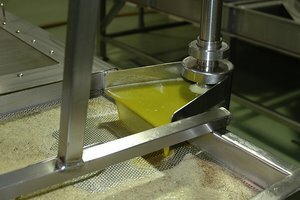 The processing plant at Keith is suffering from a lack of olives due to frost damage. Richard Whiting cranks up one of his fog machines. 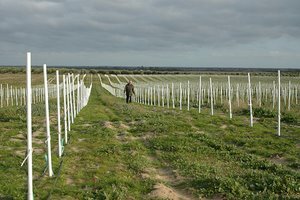 Paul sees the south-east of South Australia as a key part of the Australian olive industry but says growers need research and development to support their innovations to manage the changing climate.